This week has been a little quiet on the website this week. Apologies for that, but it has been worth it as the March issue of PhotoComment Magazine is out on regional delivery at this very moment and subscribers, your copies are on a postal truck today as well. We are working to have the magazine ready a week in advance every month so everyone gets the magazines by the first of each month. Read on for a catch up on some interesting things happening across the web. This has to be one of the coolest photography sites when you are looking for inspiring images, people or even quick tips. Here are some of our favourite articles coming out of PetaPixel in the past week or so. It is likely the dream for many photographers at some point or another to do an assignment for the National Geographic and even be a staff photographer. In this article you can find a summary of what a former Director of Photography at the Geographic would be looking for. The video below is a fantastic combination of stills images combined with great audio. It features the work of Magnum photographer Alex Webb. You can find more about this series and a snippet from an interview with him in the PetaPixel article here. PetaPixel have also shared some great DIY or craft projects that you may want to try this weekend. If you are still into reading paper books then you may find this bookmark craft using 35mm film a great idea. Alternatively if you are looking for something to make that you can use in your actual photography, then this DIY Bokeh Kit may be just up your alley. Lastly you can try make a twin lens reflex camera out of Lego as shown here. Oh, and before we move on to another favourite site, PetaPixel shared this great video created by Samsung for Valentines using custom made Bokeh apertures. Check out the article here for links to “how to” videos etc. This is a personal favourite site for mine. The team here give fantastic product reviews and tips. A great article shared on The Phoblographer is “5 Tips for Tasteful HDR Photography” well worth checking out. A hands on review of what looks like a great camera strap alternative. Check it out here. If you are a Nikon fan in any way, you should be following this site. A poll running on the Nikon Rumors site is whether people are happy with the decision by Nikon to put a 36mp sensor in the new D800 or should they have gone with the 16mp found in the D4. At time of writing the poll was closer than I expected. 42.18% were happy with the 36mp sensor and the remaining almost 58% wanted the D4 sensor in the D800. Cast your vote here. Profit should not be a dirty word – though sometimes as consumers we think it is. 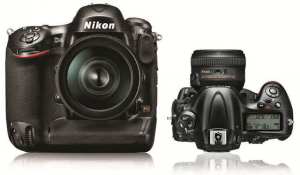 In this article you will see an image of the Nikon USA cost on the D800 to their dealers. Makes for an interesting discussion. Wonder what local dealers in South Africa are being charged in comparison. We likely do not need to give DP Review an introduction, it is after all the most referenced review site for digital photography (cameras specifically) the world over. The Japanese broadcaster NHK are apparently producing an 8K video sensor that will shoot at 120fps. That is a big deal because 8K video is roughly 16x larger than current HD. It means you could pull out a 30mp odd image from the video you are shoot. See the DP Review report here. DP Review have published a piece where 4 pro photographers share their thoughts on the Nikon D4 and D800. Food for thought. Check it out here. After a week like this I could not help but chuckle at the truth contained in this simple video shared by Scott Hutchison (who wrote the guest post a little while ago on the Leica M9) on Facebook. Enjoy your weekend and remember that Happiness does not always have to be around the next corner… or in the next camera, award winning picture etc.